There’s probably a more detailed option for making Honey Mustard Dressing. But why go to the trouble to look that up when you can just mix the two ingredients together and call it a day? Spreading my “special” honey-mustard concoction over chicken legs is ridiculously simple and tastes fantastic. So who’s up for another recipe that only takes 5-minutes to prepare? 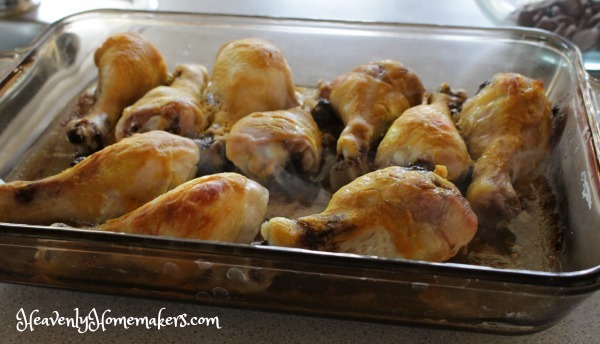 Place chicken pieces in a 9x13 inch baking dish. Mix remaining ingredients in a bowl and spread over the top of the chicken. Bake uncovered in a 350 degree oven for 50-60 minutes or until chicken is golden brown and juices run clear. Here’s a tip that works well for me: Watch for chicken pieces marked down in the meat section. 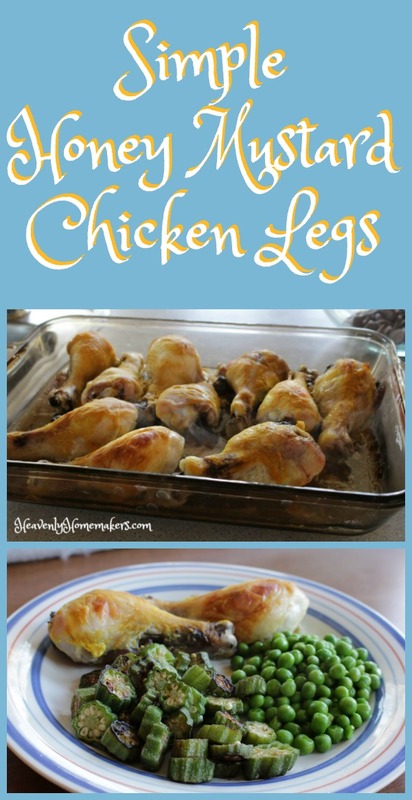 I often get Smart Chicken legs for $1.49/pound as they reach their “sell by” date. I buy every package and freeze it to use in simple meals like this one. Talk about an inexpensive way to feed my family!